Can you believe that it is already half way through July? This year is going way too fast. However, the year going fast does mean that exciting things are creeping up on the horizon & one of the things that I am most excited about is Sunathon. Sunathon is a readathon created by the lovely Emma. It’s a no pressure, fun readathon that is taking place from July 21st to July 27th. I am really excited to be taking part, and am hoping (fingers crossed) to reach my CampNaNo word count goal by then so that I can fully immerse myself in the reading. You can find more about Sunathon by clicking here. 5) Monsters of Men by Patrick Ness. So I really only have A Clash of Kings & I Capture the Castle to go. I’ve being thinking about DNF-ing A Clash of Kings – I’m finding it really hard to connect to the characters & the story. However, I really, really want to finish I Capture the Castle before I go on holiday. So that is it for today’s post. I am sorry I haven’t been more active on this blog lately, but to be quite honest I haven’t been that active on YouTube/Twitter either – CampNaNoWriMo is currently taking over my life & speaking of that – I should be doing it right now!! Are any of you guys taking part in Sunathon? What is your TBR looking like? I love I Capture The Castle, it has been my favourite book since I read it when I was thirteen and have re-read it countless times since then. It’s beautiful, and the perfect summer read. I can’t wait to get my hands on a copy of The Secret Diary of Lizzie Bennet, it sounds wonderful! I’m participating in #Sunathon too 🙂 Keeping my TBR small and less ambitious, hahaha. 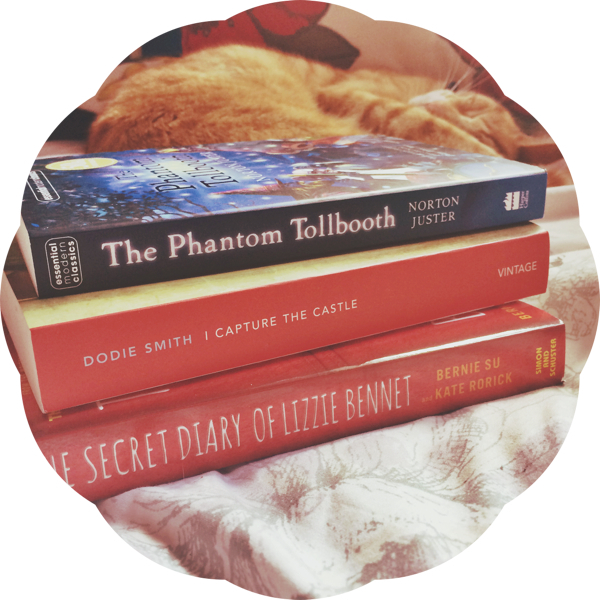 I’ve recently read The Secret Diary of Lizzie Bennet and loved it. Hope you enjoy reading it!